Try before you buy. Click here. Upgrade from ViaCAD 2D any version. Click here. Upgrade from ViaCAD 2D/3D any version. Click here. Buy PowerPack v11 with ViaCAD 2D/3D v11 for $299.99. Click here. Upgrade ViaCAD 2D/3D and add PowerPack v11 for $149.99. Click here. Intelligent, easy-to-use design tools coupled with an unbeatable price to performance ratio makes ViaCAD 2D/3D™ the ideal choice for CAD designers everywhere. The power of 3D design has never been easier. ViaCAD 2D/3D offers an amazing marriage of 2D and 3D design tools to turn your ideas into reality. 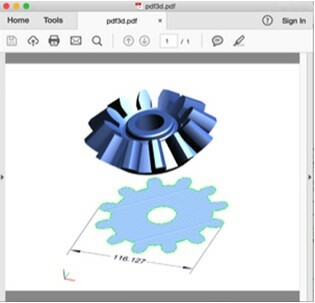 Quickly toggle between 2D and 3D views and create files for popular 3D printers, 2D/3D architectural plans, mechanical plans, electrical schematics, furniture designs, and anything else you can dream up. ViaCAD 2D/3D will even automatically convert imported 3D models into 2D drawings and you can then quickly create detail, section, and auxiliary views - all while working in 2D. 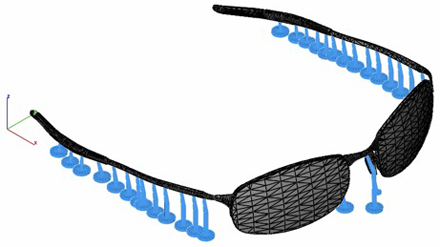 LogiCursor™ allows drawing precisely with your mouse and cursor in both 2D and 3D. It thinks as you draw. 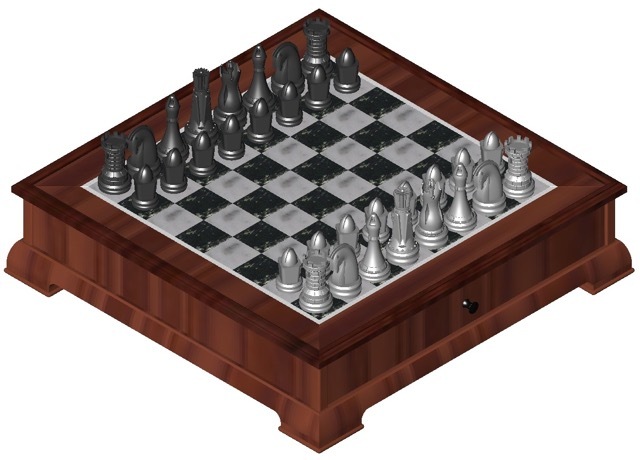 ViaCAD provides solid modeling technology found in much higher end products. There is a unique tie between 2D and 3D; which means you can edit 2D profiles used to create 3D objects and the 3D shape will automatically update. A complete set of 2D drawing tools is provided for drafting documents and sketching schematics, floor plans, mechanical designs and more. ViaCAD™ is built with professional level technology providing speed, precision, and compatibility. Now a 64- bit application for both the PC and Mac, ViaCAD™ provides a smoother workflow allowing for faster drawing, manipulation and larger projects. Compatibility with AutoCAD ™ 2018 and other products means you can share your designs with others. Using ACIS™-based geometry means you are creating with the same technology used by others using software that costs thousands of dollars. Includes 19 file formats to share your designs. 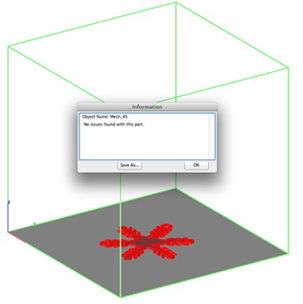 ViaCAD 2D/3D now includes 3D printing tools to prepare and validate your designs to make them 3D printer ready. This tool checks a part for print viability, displaying warnings or errors to the user. 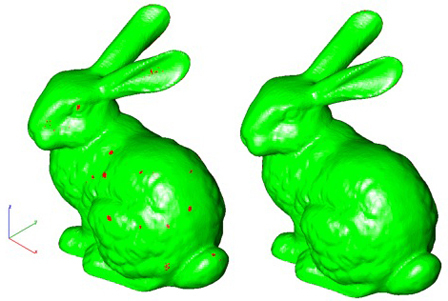 Facet normals define the inside and outside areas of a part. If facet normals are pointing the wrong way, the 3D printer may have problems creating the part. If you have a normals issue, there are several commands that can help you fix this problem. The Overhang Analysis tool provides a means to visually inspect modeling areas that may require structural support for 3D printing. 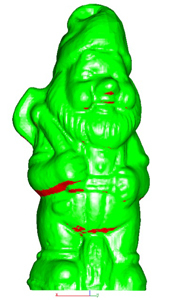 Meshes, surfaces and solids facets normals are compared to the work plane direction. Angles that are less or equal to 45 degrees are highlighted as red. 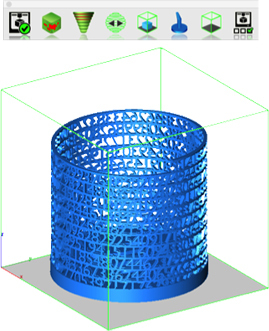 The Wall Thickness Analysis tool provides a means to visually inspect modeling areas that may be too thin for 3D printing. 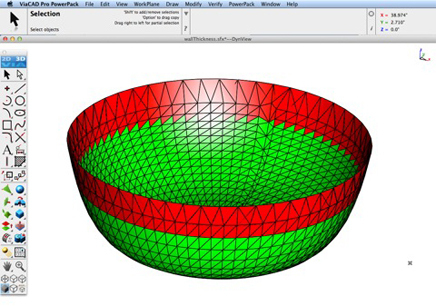 Meshes, surfaces, and solids facets are examined using ray intersections. The Preview Slices tool provides a user interface to slice models given a direction and thickness. The dialog box allows for animation through the slices and single stepping. One use of the Preview Slice tool is to verify a part has closed, non-overlapping sections, a requirement for 3D printing. The Save Slices option provides several options to save slices to DXF, STL or add the results directly into your drawing. 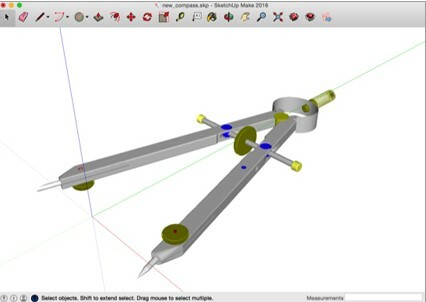 The Auto Position tool translates the model to the positive x, y coordinate system at z=0. Manually adds geometry to support material as it is created by the 3D printer. 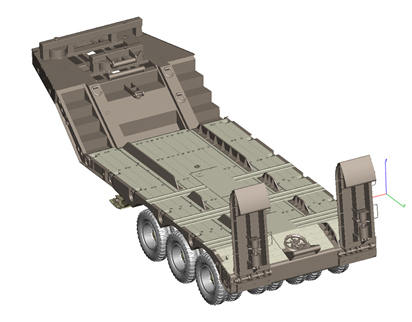 Support structures controls, include Attach Radius, Midpoint Radius, Base Radius, Base Thickness and Drag base and mid points to modify structure location. 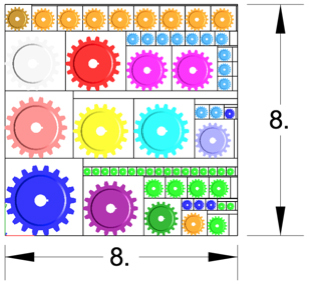 Sets key parameters of the 3D printer, including length, width and height of the volume accessible by the printer. The parameters in the Printer Definitions dialog box are used for commands such as 3D Print Check and Auto Position. Windows®: Recommended Requirements: Windows® 7, Windows® 8, and Windows® 10¹, 64 Bit Intel® Pentium® or AMD® Athlon™ class processor, 8 GB of hard disk space, 4 GB of RAM, An OpenGL/DirectX9 compliant video card with 256MB of dedicated RAM, Mouse Pointing Device (wheel button recommended), DVD-ROM Drive. Internet connection required². Macintosh®: Recommended Requirements: Macintosh® OSX 10.11-10.14¹, x64 Intel® Mac®, 8 GB of hard disk space, 4 GB RAM or greater, Mouse Pointing Device (wheel button recommended), DVD-ROM Drive. Internet connection required². ¹ Program compatibility is not guaranteed for later operating systems. © 2018 Encore Software, LLC. All rights reserved. Punch! Software, the Punch! Software logo, AutoFraming, Cabinet Assistant, ClearView, Decorator Palette, Elevation Editor, Framing Editor, IntelliDeck, LogiCursor, Material Importer, Object Organizer, PhotoView, Plant Importer, PlantFinder, Precision Lighting Planner, QuickStart, RealModel, Roofing Assistant, and Site Planner are trademarks or registered trademarks of Encore Software, Inc. Google SketchUp is a registered trademark of Google, Inc. Mac OS, Mac and the Mac logo are trademarks of Apple, Inc., registered in the U.S. and other countries. All other marks are the property of their respective owners. All rights reserved. 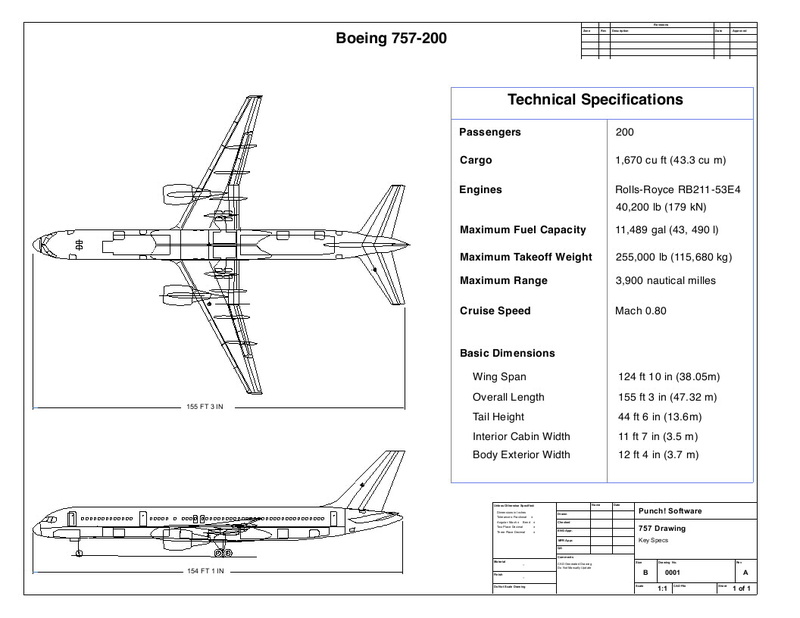 RealModel technology is protected by U.S. Patent No. 6,404,424. USE OF THIS PRODUCT IS SUBJECT TO CERTAIN RESTRICTIONS AND LIMITATIONS OF WARRANTY UNDER THE LICENSE AGREEMENT CONTAINED HEREIN. YOUR USE OF THIS PRODUCT CONSTITUTES YOUR AGREEMENT TO ITS TERMS.